AKARNG NEPA Analysis, Cultural Resources Survey, Geotechnical and Site Investigation - Ahtna Environmental, Inc. AKARNG NEPA Analysis, Cultural Resources Survey, Geotechnical and Site Investigation - Ahtna Environmental, Inc.
Ahtna completed a NEPA analysis, site investigation, and geotechnical investigation in support of the proposed construction of a United States Property and Fiscal Office (USPFO) 45,000 square foot building at Camp Denali on Joint Base Elmendorf-Richardson, AK (JBER). The scope of work included the Description of the Proposed Action and Alternatives (DOPAA), an Environmental Assessment (EA) for the proposed activity, and associated surveys. Ahtna performed a cultural resources survey to ensure compliance with Section 106 of the National Historical Preservation Act. We also conducted a geotechnical survey and a site investigation to assess site suitability for large construction and to investigate potentially contaminated areas. 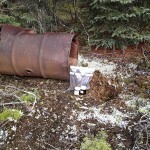 Site investigation: Ahtna performed a site investigation of three potentially contaminated areas. We collected soil samples from 78 test pits advanced by both hand augers and excavator. We conducted field-screening and submitted samples for analysis of pesticides, herbicides, and/or petroleum hydrocarbons. No soil samples exceeded ADEC’s most stringent cleanup levels. No buried debris was encountered in test pits and no indication of contamination was found. Therefore, Ahtna recommended no further action. 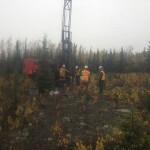 Geotechnical investigation: Ahtna drilled six boreholes with a maximum depth of 61.5 feet below ground surface, conducted laboratory testing on the soil, developed site-specific seismic hazard parameters, and performed geotechnical engineering analysis. In our geotechnical report, we recommended that any proposed structures should incorporate seismic design to withstand seismic events, volcanic ash roof loads, and frost heaving. We also recommended additional foundations, earthwork, and fill based on the soil sample results. 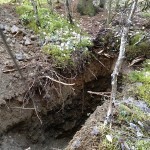 Ahtna developed and implemented an archaeological monitoring plan for use during the onsite geotechnical investigation. DOPAA/EA: Ahtna evaluated the environmental impacts of the proposed USFPO facility to approximately 5 acres of land. We evaluated location, land use, air quality, noise, geology and soils, water resources, biological resources, cultural resources, socioeconomic impacts, environmental justice, infrastructure, and hazardous materials and wastes. As part of the EA, Ahtna conducted field surveys and a literature review of the biological resources that might be affected. In compliance with the Endangered Species Act, Ahtna consulted the US Fish and Wildlife Service for a determination if threatened and/or endangered species could be affected. We also considered impact to military native cultural resources, including human burial grounds. Ahtna and AKARNG consulted the Native Village of Eklutna and multiple regulatory agencies including Alaska State Historic Preservation Office and JBER resident archaeologist to make a determination of the potential impact of the proposed facility on cultural resources.